Kalamazoo Insurance is an insurance agency you can count on. Choosing an insurance company is a very important decision. Too many times, families focus on the checks that they write, instead of the checks that they will cash in the event of the unthinkable. Kalamazoo Insurance is a locally owned, Insurance Brokerage representing our industry's top carriers. Kalamazoo Insurance - Local. Trusted. Protection! Looking for home, auto, life, health, farm, boat, RV, motorcycle, liability, or disability insurance? Kalamazoo Insurance Agency can help. The Kalamazoo Insurance team is very friendly and eager to help you when you have a question. Very attentive to your needs and concerns. I have my auto insurance through Kalamazoo Insurance and they went above and beyond to get me the best deal possible. They were very friendly and made it a very easy process. I would recommend them to anyone! Juan Seidel is so helpful and an excellent agent. Really feels like he's part of the family. If you want an active, caring agent; he's your man! 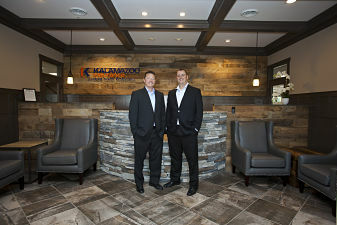 Kalamazoo Insurance has exceeded my expectations with providing great care and customer service. They even reached out to me when they found additional savings.